﻿ What's wrong with Ronaldo this season? 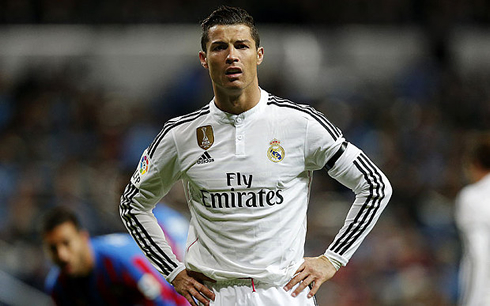 12.11.2015 » What's wrong with Ronaldo this season? There is no denying that it's been a very strange season for Cristiano Ronaldo so far. The signs first appeared in preseason, when Ronaldo appeared to be a step slow struggling to find his shooting touch, as he remained scoreless in the majority of the games. No problem though, as many hoped that he would eventually return to form when the important games rolled around. 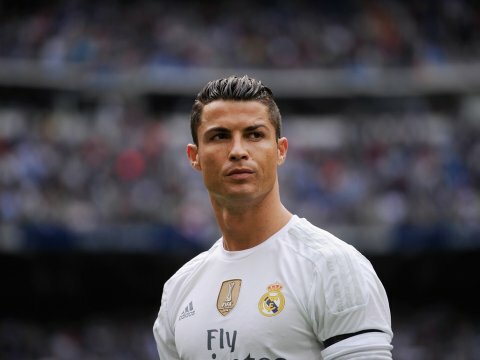 However and despite his current record of 13 goals in 15 games, the Portuguese superstar has been far from delivering his best football this season and in his 15 appearances for Madrid thus far, he already completed 9 games without scoring... With a Real Madrid vs Barcelona clash coming up next weekend, can Ronaldo still get back to his old self in time to help is team against their biggest rivals? The season started and Ronaldo was conspicuously absent from the scoring sheet, as Madrid drew in a frustrating game away to Sporting Gijon that marked La Liga's debut. Seems that was all Ronaldo needed though, as he responded in the next two games with 8 goals, 5 against Espanyol and a hattrick in the UEFA Champions League against Shakhtar Donetsk. 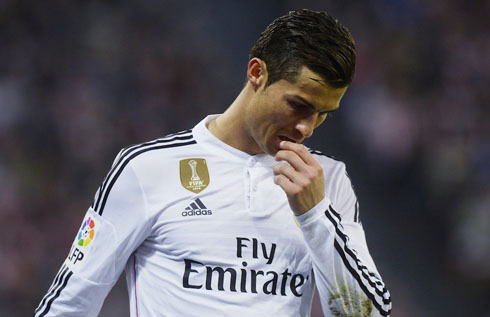 It seemed like Ronaldo was back and that he had put his early season woes behind him... But it wasn't exactly true. Though Ronaldo has managed to keep scoring at a fairly regular rate, it's clear that this season there seems to missing something in his game. Much has been said about his move to a center forward position and in many ways it's hindering Ronaldo. While he is dangerous in the box, he isn't tailored to play as a lone striker. He needs to touch the ball before, contribute to build up the plays and then make the runs in from dangerous positions. But apart from the positional play, Ronaldo looks much sloppier than he did a year ago. His dribbling has all but declined. In his recent game against Sevilla, he really struggled to get past anyone, losing the ball time and time again. He's clearly not as explosive as he was in the past, but his bad decision making is actually beginning to hurt the team. So what's wrong? The truth is two fold. On the one hand, yes, Ronaldo is getting older. His knee has been bothering him for a while and as he approaches his 31st birthday, it's only natural that he would lose some of the skills that have made him one of the legends of the game. It happens to every player at one point or another... That said, it seems Ronaldo's attitude is affecting him more than anything else. 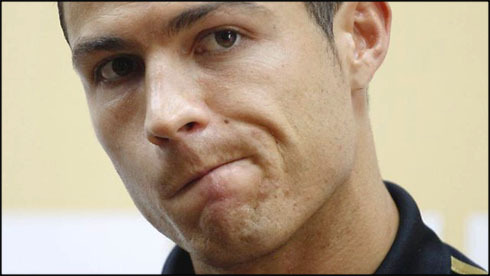 Ronaldo has become so focused on proving himself that he's not playing relaxed. He's forcing things on the field, acting selfish and it's making him turn into a more ineffective player. The paradox here is that if Ronaldo plays free flowing, he actually ends up scoring more goals and benefitting the team, but now he seems to be trying to do everything himself and not trusting his teammates as he should. Of course Ronaldo is also desperately missing his teammate Karim Benzema, as the pair have had such a good relationship on the pitch over the years and he is undeniably suffering without him by his side in the attacking front. With an El Clasico coming up and Barcelona's Neymar in full force, it will be a crucial moment of the season for Ronaldo and Real Madrid. The former Manchester United ace has to calm down, play his game and not rush things. He needs to run more and contribute to the defense as well. Ronaldo has always committed himself to getting better day by day, so hopefully he has realised that his play of late is nothing like his usual level. Let's see if the big occasion of the Clasico will bring El Bicho back to life. Cristiano Ronaldo next game will be for Real Madrid on the 21st of November of 2015, against Barcelona. In the meanwhile, you can watch Russia vs Portugal, Bosnia vs Ireland, Spain vs England, Argentina vs Brazil, and France vs Germany, all matches delivered in our soccer live game pages.